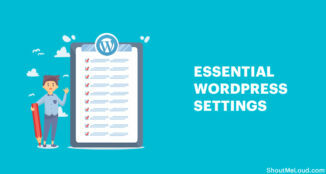 WordCamp is one of the great initiative by official WordPress team, and anyone around the globe can create and organise a Wordcamp meet (as long as you follow the guidelines published by Wordcamp.org. 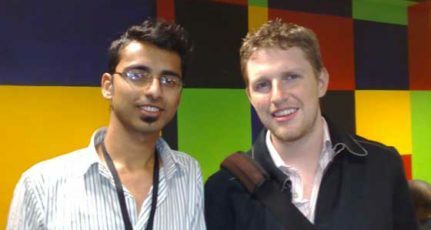 I remember it was January 2009, when I attended first ever WordCamp event in Noida, and I met many pioneer of blogging like Matt Mullenweg (Founder of WordPress) , Om Malik, Amit Agrawal, Honey Singh to name a few. 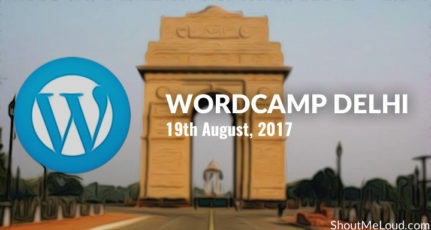 After attending WordCamp, all I could tell you is don’t miss any WordCamp event, as it may change your life like it did for me. 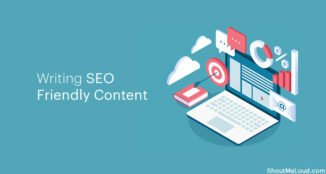 WordCamp is an event for WordPress blogger, Developer or anyone who is closely associated with WordPress. You get a chance to meet and connect with many like-minded people and you will learn a lot from people experiences. 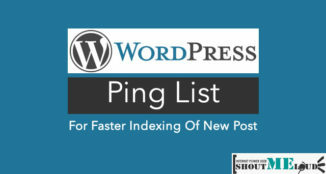 It’s a great place to network with people who are making a living online like you. 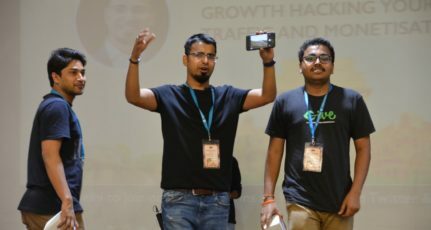 This year one of the WordCamp event is happening at Baroda, and this WordCamp session is packed with many awesome speakers, and if you are attending you will get a chance to learn a lot from these WordPress and industry experts. I also have two entry tickets to giveaway for ShoutMeoud readers, and before I share the contest rules; lets look at the complete agenda, speaker list and other details about the event. You can register and grab tickets from here. 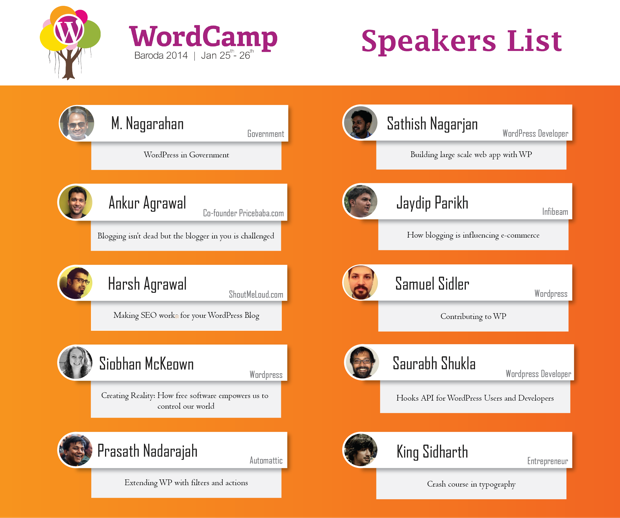 I’m looking forward to see you all at the event, and also keep an eye on WordCamp Mumbai which is schedule for 15th-16th March 2014. If you are one of those attendees for WordCamp Baroda, do meet me and other members of ShoutMeLoud at the event. If you have any question or query about the event, feel free to ask or check out official site here for more informations. Any wc in uttarakhand ?? Will let you know if any Wordcamp happens around your area. I am from Lucknow. 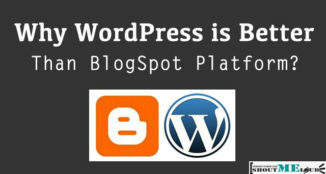 Working on wp blog past 7-8 months but still not got success. Looking forward to this Mumbai meet, as it could turn my fate by interacting with all those big names in blogging. Hope to meet to you too there.